Grading is the process of moving dirt from one place to another to smooth and flatten the ground, and it’s an important part of many construction projects. A proper grade breaks up the dirt and prepares the land to properly drain when something is built on it. If an area isn’t properly graded, a property owner risks the chance of improper drainage that may eventually lead to flooding. A rough grade is usually done before the construction of a new building. It acts as a template for the project, such as a new house, and is one of the most important parts of a construction project. If the rough grade isn’t done correctly, it can ruin the foundation of the project. A driveway that isn’t graded can be frustrating and cause potential problems for you and your home. No one likes a bumpy driveway, either. There are many options of what to finish your driveway with, from gravel to pavement, but a proper grade is the first step. Our driveway grading services will help you achieve the smooth ride to your home. When it comes to your yard, you need a solid foundation to build a patio or landscape your yard. Landscaping your yard is a lot of work, but we are here to help you start the process. Our grading services will provide the perfect surface for you to create the patio or yard that you want. CMR offers grading for a wide range of projects. 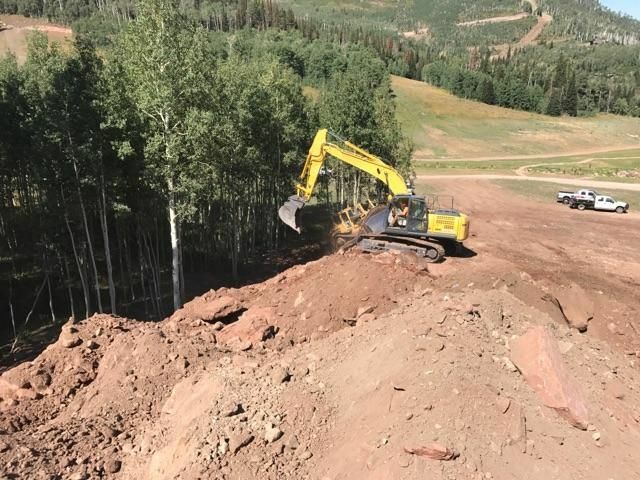 Whether you need a rough grade or a finished grade, we can help you prepare your land for your exciting, new project. If you want to know if we can help with your project, contact us today at 877-346-8514.